Thank you for signing up to our email list! 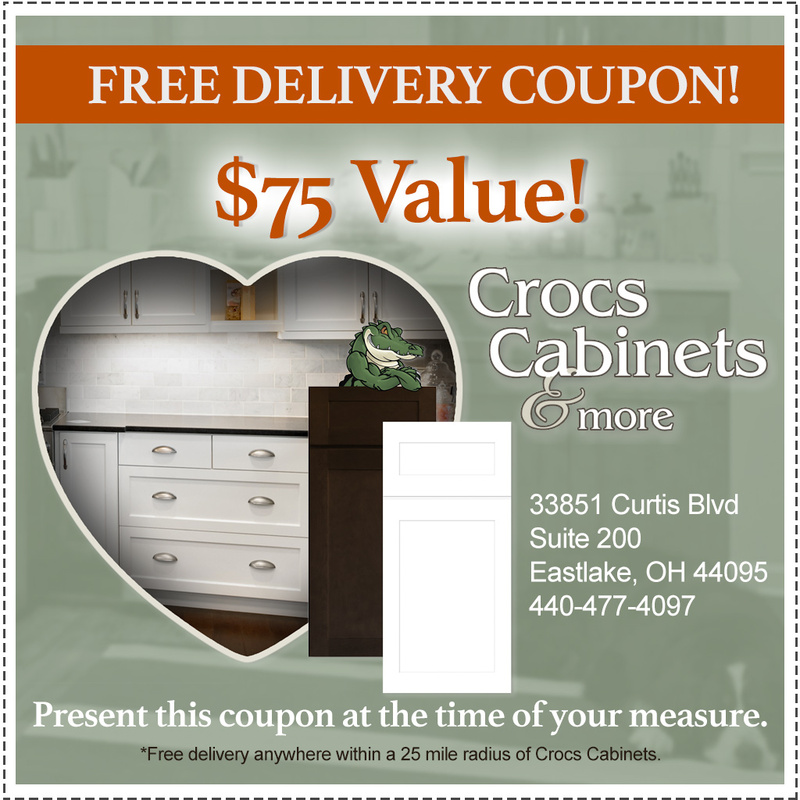 Here is your free local delivery coupon! A savings of $75! Please print this out or save this to your cell phone and present it to the Crocs Cabinets sales staff at the time of your measure.